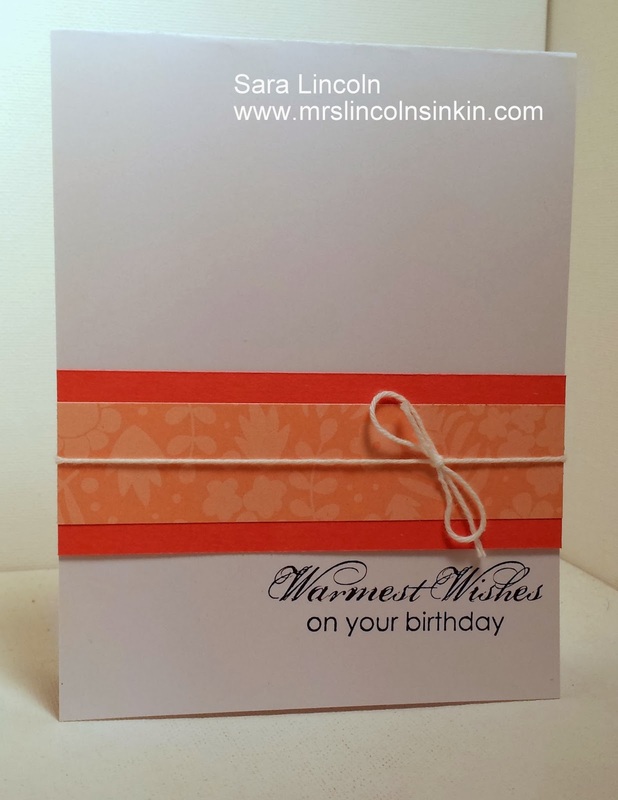 Today's card is a simple birthday card using only Whisper White card stock for my base which measures average size of 4 1/4" x 5 1/2". I then did a simple strip of Calypso Coral card stock topped with a piece of Sweet Sorbert DSP (which is a Sneak Peek of an item that is available in the Sale-A-Bration catalog beginning January 28th) for a little something and then wrapped a piece of Whisper White Twine around the base and tied a simple bow. Voila', you have a nice elegant birthday card. Yesterday was the release of the new Tuesday Deals. Click on the picture below to see all the products that are available this week! !